The New Zealand School of Dance takes all reasonable steps to ensure that contact details provided by you remain confidential at all times. Any contact details you provide to register for programmes, buy tickets for performances or join a mailing list are stored on our databases. 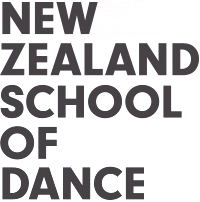 This information is used to contact you in connection with transactions you enter into with us or to send you information about training, news and events at the New Zealand School of Dance. We do not share your personal information with others unless it is necessary for the purpose for which it is provided or is required by law. To request a copy of the details we hold about you or to update or remove your details from a database please phone +64 4 381 9216 or email the Marketing Manager. This site may contain links to other websites. The New Zealand School of Dance is not responsible for the privacy practices or the content of such websites. Our online payment system has security measures in place to protect the loss, misuse and alteration of the information entered. The secure server software is the industry standard for secure commerce transactions. It encrypts all of your personal information, including credit card number, name, and address, so that it cannot be read as the information travels over the Internet. We do not keep a record of your credit card details.